With the three leading telecom operators declaring "unlimited" plans, we look at how they stack up against each other. With Reliance Jio sparking a revolution of sorts in the Indian telecommunications sector, the likes of Airtel and Vodafone have been raising the bar to make data and calling more affordable. In their quest, all three telecom operators now offer "unlimited" calling and data bundles at comparable pricing. Which one should you pick? Read on. Straight off the bat, Jio and Vodafone seem to be offering highly comparable deals. 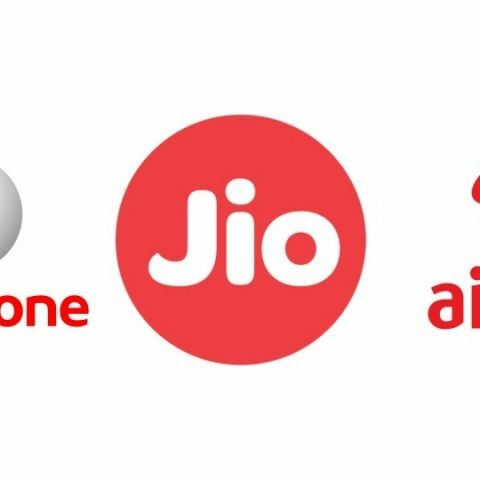 Both the operators offer 1GB of 4G data usage each day at any given point, and Jio edges ahead on account of the unlimited usage period between 2am and 5am. Airtel, meanwhile, restricts usage to 500MB for 22 hours of the day, and reserves the rest 500MB of usage for between 3am and 5am. While it is somewhat improbable that you will be up every day to simply make use of 500MB of data each day, Jio ranks first in terms of the total data on offer each month, and overall. As per TRAI's MySpeed app report, Reliance Jio is topping the 4G download speed charts in India with 16.3Mbps average speed, followed by Vodafone with 9.2Mbps average speed, while Airtel ranks fourth with 5.8Mbps. For upload speeds, Vodafone leads the chart with 5.2Mbps, with Jio on third with 3.06Mbps and Airtel marginally behind with 3.05Mbps. On overall terms, Jio and Vodafone are in the lead with 4G services in India, with Airtel falling behind in total data on offer and overall data speed. While you only get the "unlimited" plans as prepaid with Airtel and Vodafone, Reliance Jio offers the same plan as both prepaid and postpaid offers. Anyone can subscribe to these offers from Reliance and Airtel by March 31, 2017, while Vodafone plans to rope in all its users by March 15, 2017. Each of these three plans will remain active until March 31, 2018, and come into effect on April 1, 2017. Vodafone, however, has confirmed that this plan is being offered to a "select" group of users, and we are not yet sure how the eligibility is being judged. With all of this in sight, the new war of 4G services is slated to rise this month. While Vodafone seems to be matching Jio's offerings toe-to-toe, it remains to be seen if Airtel introduces further plans in the near future, or remains content with the service it is presently offering.